The "hidden need" of the protagonist is an emotional lack that is solved during the course of the story. I first heard this term from Angela Hunt and Nancy Rue in a "NANGIE" class, and think it's a perfect way to describe this attribute. The hidden need not only hurts the protagonist, but most ideally (according to John Truby in his Anatomy of a Story) it also hurts those around him or her. Some examples of this hidden need might be someone who is afraid to confront others, or who loves money more than family, or who is unconsciously arrogant. These stages normally occur in the second half of act two, right after the midpoint, and often form a "mini-story" to give a break from the excitement and story ramifications of the midpoint. Let me use the movie U571 to demonstrate. It's a movie made in 2000 about a submarine crew in WW2 that wants to capture a Nazi Enigma machine (story goal). If you haven't seen it, I highly recommend it! It's very exciting and beautifully done. Tyler is the second in command who likes to be a "big brother" figure to those under him, but is afraid to lead. Right after the midpoint disaster in which the captain is killed, he finds himself in command of a crippled ship. The men are worried. Tyler admits to them that he doesn't know what they're going to do. This scene starts at 55.1% of the whole. The chief petty officer takes Tyler aside and privately tells him to never, ever say to the crew again that he doesn't know what to do. The captain, he says, is an awesome figure, and must always present a strong presence in order to give courage and inspire loyalty and confidence in his men. Tyler listens carefully. This scene starts at 58.9% of the whole. The Americans surface and see a small Nazi plane flying overhead. Since they're on a German Uboat, Tyler tells his sailors to wave as if they are also Germans. One of Tyler's sailors orders the one manning the guns to strafe the Nazi plane, but Tyler orders him not to. There is hesitation but the gunner holds his fire, the sailors wave, and the Nazi plane seems to be fooled as he flies past. Then Tyler turns and punches out the sailor. "This isn't a democracy!" he growls. This scene starts at 60.5% of the whole. Close to the darkest moment, Tyler needs a functional torpedo tube, but it's underwater and for anyone to fix it will be very dangerous. Tyler orders one of his crew to go in there and FIX it, darn it, and do it now! This scene starts at 93.2% of the whole. Let me do another, very different, story to demonstrate: Blink, by Ted Dekker (I don't like most of Dekker's stuff, but Blink is one of my favorite books). This story is about a genius, Seth Borders, who is suddenly able to see many possible futures. He rescues a Saudi princess who is being pursued to marry a ruthless man; the marriage will seal a political union. Seth enters a church and expresses his disbelief of God's existence because of the way the universe is run. This scene starts at 59.3% of the whole. While hiding out in the California desert, Seth and the princess build two altars: one to Allah and one to the "God of Jesus," since Seth has decided he'll give both a chance to prove their existence. With his gift of seeing possible futures, Seth knows that there is no way they can escape into Nevada. However, when he prays to the "God of Jesus," he suddenly sees one of the possibilities change so that they CAN make it. This scene starts at 65.5% of the whole. Seth and the princess cross over into Nevada, demonstrating that Seth's vision was correct. This scene starts at 66.2% of the whole. Seth's power to see possible futures starts to blink on and off, and during an off time he and the princess are trapped at gunpoint with the bad guy. Seth and the princess pray to the "God of Jesus," with trust and faith, although there seems to be no hope. This scene starts at 94.3% of the whole. I could show you this same pattern in story after story after story. I included the percentages not to be rigid and say your hidden need triplet MUST occur here, but instead to give you an idea of the natural reliability of its placement. I was absolutely amazed after calculating story percentages to see just how closely different points of a story (not just hidden need triplet) tended to fall. This is another subject, however. The hidden need triplet is a specific sequence of actions that solves the hidden need. Just having a protagonist with a hidden need suddenly acting better at the darkest moment is not the same, and will not have the same resonant effects. When designing or editing your story, make sure that your protagonist has some sort of flaw that needs to be healed. Then, demonstrate clearly exactly how it IS healed. By doing this your story will carry a strong emotional punch. I didn't figure writing a novel would be that difficult -- after all, I'd published nonfiction articles and even wrote an opinion column at a newspaper for awhile. However, as anyone who HAS tried to do this will tell you, a novel is a completely different animal. I did four separate drafts of Lever, and threw out more pages than were ultimately published. When I thought about doing another novel, my heart sank because it had taken pure grit to finish Lever and get it good. The Story Template is not the only way to write a novel or screenplay, of course, but I believe it is an efficient method. No matter what anyone tells you, writing a story is hard, and it takes some time especially the first or second time you go into it. The Story Template describes common elements, at a deep level, that are present in all (published/produced) stories whether you're aware of them or not. By knowing that they are there, and WHERE they should fall, you can add them if your story is missing something, and make the points bigger and with more contrast so that the story seems more "compelling" (no matter if it's romance, adventure, literary, or whatever genre). My daughter, who had an amazingly successful science project last year, was interested in branching out a little into the arts without leaving her science background. After pursuing a number of other research possibilities, she decided that the template offered her the best opportunity for combining science and art. I didn't feel comfortable with mentoring and grading her (nepotism, don't'cha know), so she found another scientist-writer to be her mentor with this. I gave her the template, and she developed a plan to test whether the template points all were, in fact, present in all stories. I thought they would be. She found, though, that the classics had a component that the non-classics didn't. This doesn't mean that the non-classics are bad stories -- in fact, they are quite entertaining -- simply that they don't have that lasting resonance that makes the reader or viewer want to revisit the story again and again. Since originally I had chosen only stories that I thought were good in whatever genre to develop the template, I had included this component without even realizing it wasn't always there. Thank goodness for others who check your work! Sigh. Again, this blog entry of explanation is too long to describe the missing component, so I'm going to save that till next entry (Friday). I did promise letting you know what it was today, though, so here it is: the Hidden Need Triplet. Grace in Monday's comment mentioned an "inner journey" of the character, and this is a general idea for what the Hidden Need Triplet describes. Way to go, Grace! This isn't a difficult component to include in a story, but after looking at my daughter's results, I have to think it's important. Happy writing, my dear friends. My daughter is doing a school project using my story template algorithm, and her goal is to examine classic and non-classic stories to see if there is any difference in the story structure. She decided to use just movies since the analysis is quicker, although still not trivial: for each story she broke it into a list of scenes, timed each scene, then calculated percentages of whole for duration and placement. Her definition of a classic was a film that had been adapted from a novel, had one or more sequels, and/or was recognized as the epitome of its genre. Furthermore, the original novel or film must have been made at least 25 years ago (1985 or earlier), since it takes at least about a generation to be recognized as a classic. Non-classics were films in that same time period that did not fit the "classic" criteria. She tried to choose films from a variety of genres. To analyze these movies, she studied the Story Template and then broke it down into 16 specific testable points. Note that I did NOT directly involve myself in the construction of her study; I gave her the template, then she worked with an advisor to create the research protocol. I was available to her and her advisor for an informed opinion if there were any questions. She did an amazing amount of work, and I'm so proud of her! Most importantly, and contrary to all of my expectations, she found a real difference in structure between the classics and nonclassics. 15 of the 16 points were present in all the stories. However, 1 of the points was present in 6 out of 7 classics, but in NONE of the non-classics. This blew me away. When she did a Fisher's exact t-test for binary data on the presence or absence of this one variable in identifying a classic, in a two-tailed test (which is harder to reach significance), she had a p value of 0.03, considered significant. (The p value means that if you did this test 100 times, in 3 out of 100 trials you would expect to obtain these results by chance. Scientific standards typically accept a p < 0.05 to be considered significant, meaning that the scientist is probably measuring a real phenomenon). What this result indicates is that the presence of this one story point is highly correlated to having a "classic" whereas its absence means it is linked to being a non-classic. Remember, though, that these aren't clean statistics since in the original project design she was looking at 16 variables. The likelihood with this many variables is that one might reach a level of significance with one of the variables just by chance. HOWVER, 1) none of the other points changed -- they were all present in both classics and non-classics; and 2) this point makes a lot of sense to me that it might distinguish the lasting stories from the throwaways. At the minimum, it seems to be important to remember to include this point. It sure can't hurt! I'm sure you're wondering what this variable is? Well, this blog entry is already long, so I'm going to save that till Wednesday. In the meantime, I'd love to hear what you think it might be. Happy writing. 6.Don't use no double negatives. 7.Each pronoun agrees with their antecedent. 8.Just between you and I, case is important. 9.Join clauses good, like a conjunction should. 10.Don't use commas, that aren't necessary. 11.Its important to use apostrophe's right. 12.It's better not to unnecessarily split an infinitive. 13.Never leave a transitive verb just lay there without an object. 15.Use hyphens in compound-words, not just in any two-word phrase. 16.In letters compositions reports and things like that we use commas to keep a string of items apart. 17.Watch out for irregular verbs that have creeped into our language. 18.Verbs has to agree with their subjects. 20.A writer mustn't shift your point of view. 21.Don't write a run-on sentence you've got to punctuate it. 22.A preposition isn't a good thing to end a sentence with. 23.Avoid cliches like the plague. 24.1 final thing is to never start a sentence with a number. 25.Always check your work for accuracy and completeness. A little boy in his first year of piano lessons went with his mother to hear a world-famous pianist in concert. As the crowd waited for the concert to begin, the little boy grew restless and while his mother wasn't looking, slipped out of his seat and wandered toward the stage where the gleaming grand piano waited. Before anyone knew what was happening, he climbed up on the bench and began to pick out the only song he remembered: Chopsticks. Snickers erupted from the audience and he glimpsed his mother's horrified face, when suddenly he felt someone behind him. Fingers touched the keys and arms were around his back. A deep voice whispered in his ear,"Don't stop. Keep playing." And to the delight of the crowd, the great musician added chords and trills to the little boy's efforts to produce a unique masterpiece never before heard until the crowd was on its feet in ovation. So as you stare at that blank computer screen and question whether this is God's path for you, listen for his voice in your ear: "Don't stop. Keep playing." Work your fingers to the bone and expect that the Great Composer will fill in the rest. Like many Americans, I have been watching the run-up to the special election in Massachusetts (NOTE: NOT SPELLED MASSACHUSETTES, WITH AN "E")with amazement. Massachusetts is true-blue of a blue state, and this election is for long-time Democratic Senator Ted Kennedy's Senate seat, for goodness' sake. How could this race become so close that Obama feels he needs to campaign on Sunday for the Democratic candidate, State Attorney General Martha Coakley? The challenger, Scott Brown, is a Massachusetts state senator whose platform is in stark contrast to the current House's, Senate's, and Obama's. Brown has promised to stand firm against the health care bill now being consolidated from the House and Senate bills that were both passed a few weeks ago. Whether or not Brown wins tomorrow, it is remarkable that he can garner so much support in as "safe" a democratic stronghold as you might wish to name. I attempt to keep this blog mostly free from politics, although honestly I've had a hard time holding back lately. Mr. Obama, Ms. Pelosi, Mr. Reid, I hope you're listening to WE THE PEOPLE. And yet... As I finished preparing dinner, I started thinking about that pot of water. Once it had cooled, the water looked just the same in the pot as before it had boiled, but it was now sterile -- in a mysterious and invisible way, that water was now *superior* to unboiled water. Similarly I believe that those secret sacrifices we make may make more of a difference than we realize. Those sacrifices honor God, if nothing else, and may even be seen by that *great cloud of witnesses* (Hebrews 12:1-2). I believe that everything we do for right motives, no matter how insignificant or seemingly without result, is accepted -- no effort is ever wasted. Those secret scars of the heart, that no one sees, that bleed without ceasing -- they are all observed and counted. I was reminded of the line *they also serve who only stand and wait,* and looked this up on google. This line comes from John Milton's poem "On His Blindness," and seems fitting for this discussion. We serve God, not because God needs to be served, but because He is worthy, and we take pleasure in acknowledging this. Hey, Congress! You'll Hear from us in November! The new year is normally a time of optimism. And after a rocky 2009, certainly hopes should be high for a better year ahead. But that’s not the mood of the people as we begin 2010. Not since the dark days of Watergate and Vietnam do I recall a time when the American people were more pessimistic. And I’m not talking just about the economy and the state of the world in general. I’m referring specifically to the utter lack of confidence Americans have in our government. We see it in the polls. Only one quarter of Americans approve of the job Congress is doing. Less than one third of Americans believe the country is headed in the right direction. Perhaps the wave of frustration began in the wake of Hurricane Katrina. Or consider the government’s response to the economic crisis—the so-called stimulus package was nothing more than a pork-barrel potpourri of political favors. And then there is the latest shock. Despite the billions of dollars spent on homeland security since 9-11, despite the abundance of intelligence, a young terrorist-wannabe with explosives tucked in his underwear almost killed a plane full of people on Christmas Day. And the very office issuing the man the visa had information that he was a terrorist. No wonder Americans feel that government isn’t working! But even worse is that Americans are wondering whether our leaders give a fig for what we think or for the things we hold dear. There will be no debate, no committee meeting. In fact, the bill is being written by just a handful of senators and congressman and government officials. We the people will not be able to read the final bill before it’s voted on. And despite the President’s campaign promises, don’t expect the negotiations to be shown on C-SPAN. So we find ourselves in a potentially dangerous situation—an American public angry at its elitist leaders, who are at best oblivious to and at worst contemptuous of the will of the people. No free society can function long under such conditions. It’s a perfect recipe for a populist revolt—certainly at the polls, hopefully not by other means. So why should this concern us as Christians? Scripture clearly teaches that man was made to be free, and that government, ordained by God, is to secure that freedom through preserving order and doing justice. Western democracy as we know it, in fact, grew out of the Christian tradition. By the early middle ages, democracy for all—noble and peasant alike—was practiced in Christian monasteries. I talk about this in my book, The Faith, which I invite you to read. It’s in times like these, then, that Christians must speak out. We acknowledge and support the high calling of government. We pray for those in authority as Scripture commands. And we can live out and extol the virtues of freedom and democracy. I just ran across an advertisement for this film, due to be released January 22, 2010. Would you say that our society is hungry for God? I don't even know where to start with Legion; the Biblical inaccuracies and mangling of the Christian faith even from this small summary are a wonder to behold. Blasphemous? You bet. For now I'll just post the synopsis as listed on Wikipedia. What do you think? Legion is an upcoming apocalyptic fantasy film directed by Scott Stewart, from a screenplay written by Peter Schink and Scott Stewart, and starring an ensemble cast headed by Paul Bettany. 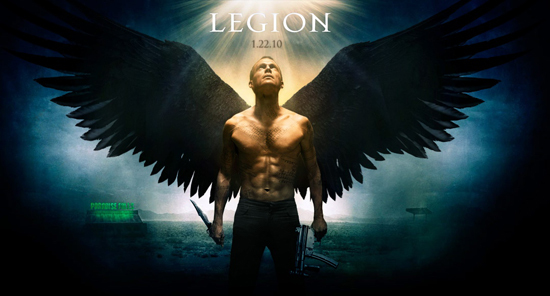 After God loses faith in humanity, the archangel Michael (Paul Bettany) is the only one standing between mankind and the apocalypse. This time using angels as the act of Biblical judgment, God's wrath descends on Earth to exterminate the world's population. In a desperate, last-chance gambit, Michael leads a group of strangers to a small New Mexico diner to protect a young waitress who may be pregnant with Christ in his second coming. 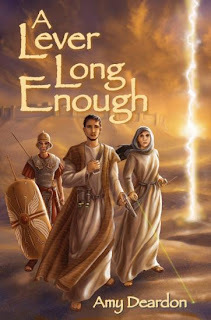 If you'd like to win a copy of A Lever Long Enough, or just want to know a little more about me, make sure you visit Ruth Ann Dell's interview posted HERE. She did a great job! You may just want to put her group blog on your regular blog rounds too: The International Christian Fiction Writers blog celebrates international Christian writing, and has an amazing list of bloggers from all over the globe who contribute. Have a great day, my dear friends. I'm very excited and honored to announce that A Lever Long Enough yesterday won the 2009 Pluto Award! 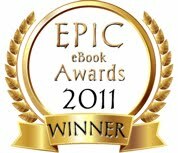 This is a recognition from the e-zine Yellow30 Sci-Fi. The Pluto is so named because it attempts to recognize the humbler books that are nevertheless great reads. I was nominated for the award last month before I even knew it, and then one of the editors emailed me to let me know. The two other finalists were Grace Bridges' Faith Awakened about a virus-created dystopia and a unique solution to escape, and Sue Dent's Never Ceese about a cursed vampire and cursed werewolf who long to be whole, both also worthy books. I don't know what else to say, except I'm grateful and humbled by this award. I pray that it reflects the Lord's glory, not mine, since after all He gave me the resources that allowed Lever to come into being. Is It Ever OK To Shoplift? If someone, say a newly released prisoner, has no options left, is it OK for him to shoplift? What would YOU do in this position? I remember a few winters ago a homeless man who had found a convenience store to camp near (this was unusual because we live in a fairly rural neighborhood). It was a safe situation, so I gave him food two or three times until he disappeared after about five days. Was this right to give him food? Some people might not think so because it would enable the man to *continue his lifestyle. * I understand this. I also know that many homeless people have mental illnesses for which they've gone off their meds and can no longer integrate back into society without outside assistance. I don't give money to people who beg because I believe it's likely to be spent on alcohol or drugs. I DO donate money to Salvation Army and a soup kitchen in the area, and figure they have the resources to help homeless people so much better than I can. This is an interesting interview posted last week from a vicar who says, yes, under dire circumstances it's OK to shoplift. You can see the video HERE. I don't think I agree with him, although he HAS pointed out an important social behavior: if those who have don't give, then what can those who don't have do? It's a convicting question. The economy is terrible right now and donations for charities are way down. People don't have as much to give. Gee, I had trouble thinking about what to write about on new year's day. I decided to start off with a common song that's often sung at the stroke of midnight: Auld Lang Syne. I found a short history of this song, part of a longer article, here. This was written by Stephen Lynch of the Orange County Register on December 31, 1999, and I hope I'm not violating rights here -- the article IS old and available easily on the web. Happy new year, my dear friends both here and gone.